It is with much joy that I write this short love-note to you all. As many of you know, since January, I have been having a “rough time” with mister party-pooper (satan). Thankfully, though, due to the many intercessory prayers that have been said for me and the blog, MaryRefugeOfHolyLove, I have been able to move past the attacks and write my commentaries for Jesus and Mary, as well as get back “on-track” with my work on the blog. I am so grateful for all this prayer and the continuing love from all of you. It has enabled me to do things that I could not do alone with only me praying for myself and the blog. Thank you so much for your support in prayer. You have been instrumental in the survival of this blog! I will tell you all, but mister party-pooper almost convinced me that all my writings were of “no merit” and “no good” because I wrote them with “spiritual pride” in my heart; and so, I took down all my writings off the blog and had intended to delete all my work, but sheer heavenly grace intervened and most of the writings ended up being saved. I am so grateful to God for His grace towards me. I am so grateful that I was not stupid, and it is solely because of intercessory prayer that my works were saved. The writing is titled, “Two Love-Letters Explaining Holy Love Ministry” and I think that people who have read my “A Love-Letter Explaining Locutions To The World” on this blog page (https://maryrefugeofholylove.com/locutions-to-the-world/), would particularly enjoy reading it. The title is self-explanatory. Also, I want to encourage people to read my free eBooks–the links can also be found on the “Holy Love Ministry” blog page. The eBooks are compilations of my various writings, commentaries, and love-letters over the past several years. The reason I want to encourage others to read my free eBooks, is because I know that many people are struggling in following their own personal spiritual journey through the Most Sacred Chambers of the United Hearts of Jesus and Mary. I am offering the eBooks to help others in their spiritual path. I, a soul, do not claim to be an expert. In truth, Our Lord Is the Only One who knows my spiritual state and in which Sacred Chamber that my soul resides in. And I will be honest and say that I seem to find myself perpetually stuck in the First Chamber–or, at least, I think I am… But, I will also be honest and say, that Our Lord and Our Lady have blessed me with a few mystical experiences that have given me an idea as to what the other Sacred Chambers might be like. I do not consider myself to be a mystic. Mystical experiences are not normal for me (they are not a daily occurrence, etc.). I also do not consider myself to be a particularly holy person either. Thanks Be To God for the Sacrament of Confession!! But, I offer my free eBooks to others to help them along the spiritual journey. It is my hope that by opening up about my own personal experience, it will help others who will want to adopt the same spiritual practices to become closer to God. Also, feel free to share feedback with me by contacting me through the blog. I do not get much feedback from my writings, as I do not allow comments on my blog posts and blog pages (I think that they are too distracting for the purposes of this blog). However, if you have questions or need further clarification, I’m willing to help (provided I have the time depending on how many questions I get). My greatest joy is sharing My Love for Jesus and Mary with everyone. That’s why this blog exists in the first place. Glory Be To God! Finally, I want to share a few heavenly messages from Locutions To The World to inspire you all. God bless! The gifts that I want to offer the world are overwhelming, far greater than any gifts since I gave the world my Son, Jesus Christ. These gifts are of every kind and in the highest degree. I want to restore the earth and bring back its fullness. But, especially, I want to restore man to the highest level of integrity from which he has fallen. Then there will be a new heaven and a new earth. Many will be skeptical, asking, “How can this be? 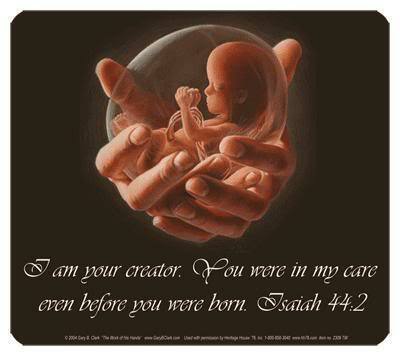 Will the Father create again?” I say, “All things are possible to God”. There are two ways that this can take place. Either mankind allows itself to be lifted up into a mystical union with God or God himself must act to restore his creation. This second purification will take place by a different divine fire. Let me be clear. A new heavens and a new earth can only be accomplished by a divine fire. In the days of Noah, the purification came by the floods. But God promised never again to use water to purify. This time, the purification must come by God’s fire. However, two ways exist for mankind to experience divine fire, the way of the saints and the way of Sodom and Gomorrah. There is a powerful stream, filled with every blessing which flows in the very center of human history. This stream also flows in the center of every human heart. This stream exists for every person in the whole world. The stream is so powerful that once the person yields to it, it will carry the person along and keep them safe. It is the saving stream. This is the stream of God’s will which I will explain by easy to understand images. Some people think that God’s will is just words, like commandments or warnings given by parents to their children. Really, God’s will is a power, a force that is irresistible if only the person consents and says “yes”. That is all God needs, O reader, your permission. I will continue with my images. All the world was created by the power flowing from God’s will. All creation was united to God by the power of this will. Then came forth a new word, a strange word, a word never heard before. Mankind said “No” to God’s will and sin entered the world. God’s powerful stream with all of its healing powers, with all of its powers to bless man, no longer was at the center of human creation or even at the center of each human heart. “No” had replaced “Yes”. Rebellion had replaced obedience, and, unfortunately, curses had replaced blessings. So, for centuries the human race was cursed and earth became a place of suffering and sorrow, a valley of tears. 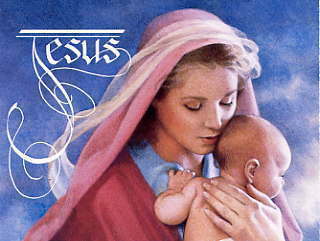 Then, I gave birth to Jesus, who always was a “Yes” to God’s will, even to his death on the cross. A new stream of God’s will began to flow and I was its first recipient. It flowed in the middle of my hearts and, later, in the hearts of the believers. However, it did not flow, as it formerly did, in the center of human history because the world rejected him (even Israel rejected him). This is the way it is today. This powerful stream of God’s will flows within some people and not within others. Also, this stream is not flowing in the center of human history because many cultures reject it. But a time will come, when the heavenly Father will give all of mankind another moment, another opportunity that this powerful stream will once again flow in the center of human history. Obviously, the gift can only be given with extraordinary signs and divine powers, but this will take place (more quickly than many realize). The following, however, is my teaching. 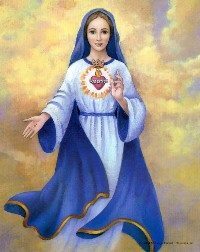 Even before these extraordinary events, the Father will pour out this powerful, life-giving stream from my Immaculate Heart. This stream will bestow unimaginable blessings upon all who open their hearts to receive. Most important, no one has to wait for that future, extraordinary event. That is what I reveal today. This stream already exists and anyone who wants that stream to flow in the center of their heart need only seek it in my Immaculate Heart. So, come into my heart in your prayers and your desires. If you come, I will promise to teach you how to open your heart to this powerful stream of Gods’ will. In the midst of these problems, how do you find the way to peace? I will speak. Listen to my promptings. Where do I speak? In the quiet of your heart. I begin right now. Stop and listen. Do not fear if I chastise you. Some parts of your life might have to change. They are just obstacles that need to be swept away so you can see the road ahead. I speak in these locutions but they are external words, general words of guidance for all the world. I promise to also speak to every heart. How do I speak? What words do I use? From reading the locutions, you know that I speak clearly and simply. I do not use big words but little words that even a child can understand. You also know that I point out what needs to be changed but always with words of encouragement. You know that my words are filled with promises and hope. I speak gently and invite, so no one is scared away. This is how I will speak to you in your own heart. Can I not pour out the gift of locutions upon the whole world? I do not mean that I will give you great words that should be published. I will give you little words to guide you on your path. Once in a while, I will give you words for others, for your family or your friends. At times, I will want you to do a work for me. Then, I will speak more strongly in your heart, when you are better prepared. How faithful you have been in reading these locutions. By doing so, you have learned to listen to my words spoken in your own heart. Be still. Pray. Go into your own heart. You will find me waiting there for you.